DIMENSIONS: 20.28" from Ceiling to Bottom of Light (with 4" Downrod Included); Weight 22.5 lbs. 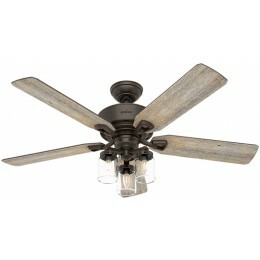 Nostalgic design elements give the Devon Park farmhouse ceiling fan charm. 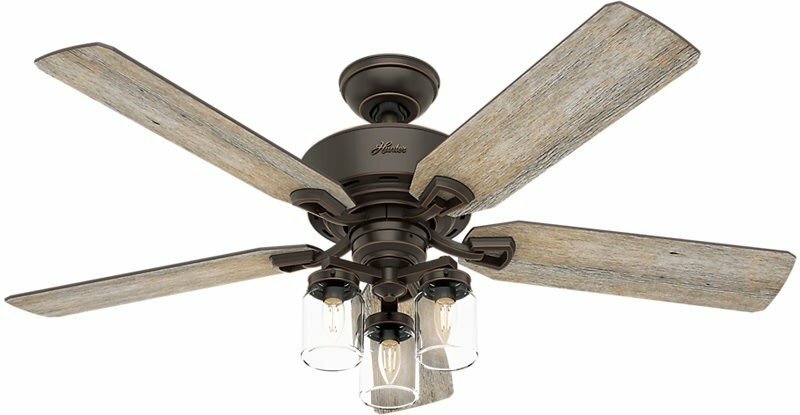 The mason jar inspired glass pairs with vintage inspired LED Edison bulbs and thumbscrews on the light fixture for industrial design detailing while rustic finishes complement this fan’s friendly form. 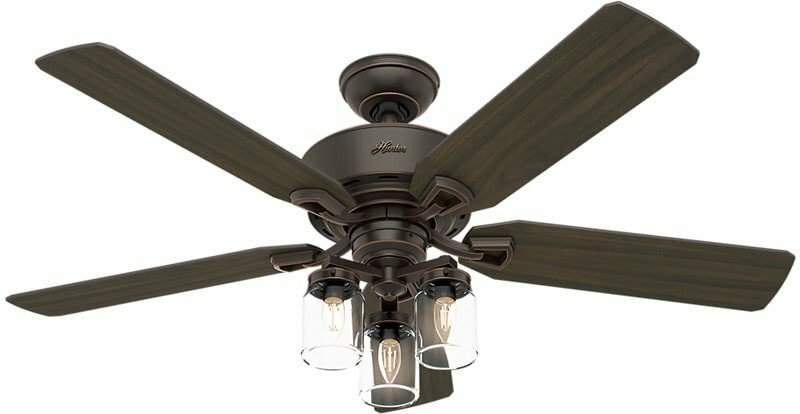 Featuring powerful WhisperWind motor technology, the preinstalled remote receiver makes this indoor ceiling fan easy to install and start using.